The Roseville Learn to Speedskate (Novice) Program is a non-profit, entry-level speed skating program offered through the Roseville Parks and Recreation Department. The program is open to all metro-area skaters ages 6 through adult, who would like an introduction to the sport of speed skating. Speed skates are available for rent. 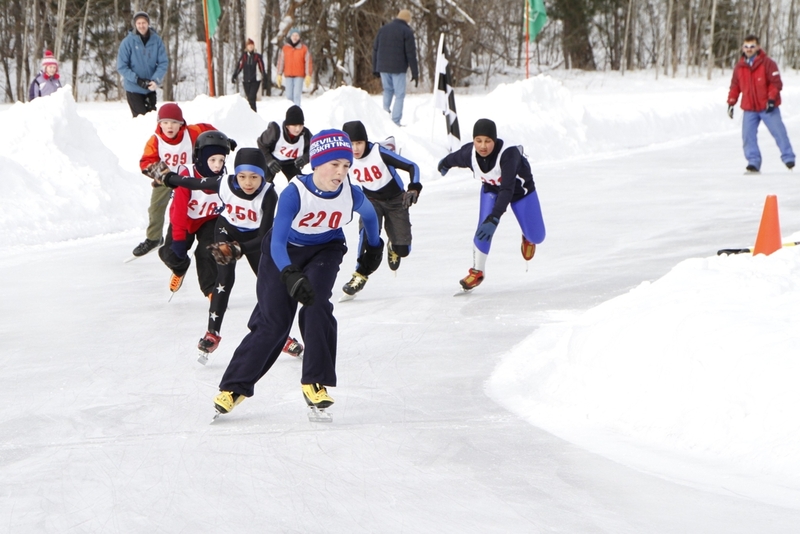 The main goal for the program is to learn proper skating techniques so they learn a skill to enjoy throughout their life, and most importantly, have fun doing so. Participants must be able to skate independently. Click here if you require speedskate rentals (additional $50). The Roseville Skate School is the perfect place to learn the basics. Speed skating is all about edges and being comfortable on ice blades. Learn to Skate classes teach important basics and allow your skater to gain confidence. Tell your coach that you are interested in speed skating and they can cover the basics that all skaters need to know.